Hi!! So I know that I haven’t created many posts that I said I might in here, but I finally got around to doing my first Manicure Monday, so I’m making progress! On another note, I hope that everyone is enjoying the new year so far, and that school/work hasn’t already managed to stress ya’ll out! So far, school hasn’t been too bad for me, but I know it’s only a short matter of time until things get really hectic. With that in mind, I decided that, while I had some free time, I was going to post my post holidays haul. I ended up getting some stuff from Forever 21, Charlotte Russe, Sephora, Gilly Hicks, and American Eagle. First, I’ll start off with the items that I got from Forever. To be honest, I’m not really sure how I feel about the store anymore. Whenever I stop by the mall, I always make a trip there, but I find that I either walk out empty handed or only with jewelry and other beauty stuff. I rarely purchase clothes. I think the reason for this is that going there is too much for me. With so many sections that all focus on different styles, I think I get overwhelmed. Also, I find that the things I do like are not as affordable as you would think, especially since I wouldn’t say that Forever clothes are of the highest quality. On top of that, they have the worst return policy. With all that being said, the items I ended up purchasing were necklaces at $4.80 each. 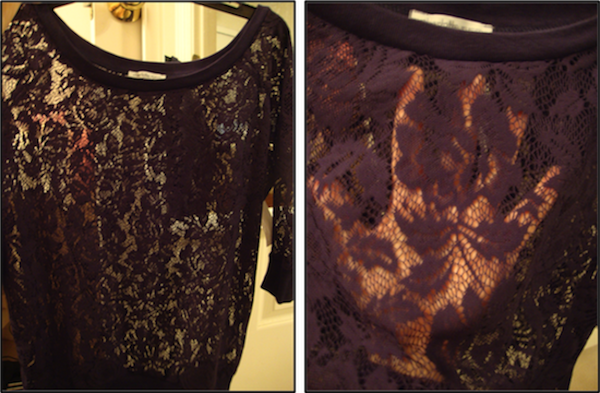 Next, I got 2 shirts and 2 jewelry pieces from Charlotte Russe. Both the shirts I ended up getting were on sale (the denim one was $15 and the patterned one was $10), and the jewelry was 2 for $10. After shopping here shortly after going to Forever, I feel like I like C.R. more. Yes, they don’t have as much variety, and yes it’s basically like Forever and Wet Seal and Agaci and Shasa, but they offer more discounts. Not only do they offer 10% off your purchase when you sign up for their text messages, but they also offer 10% off all purchases if you’re either a student or a part of the military! I think that great, because they are really supporting the demographics that shop there, and who doesn’t like t0 save money? On top of that, they let you return jewelry that may have been pulse purchases and have a normal return policy of 30 days. I’ll be the first to admit that I was slow on the denim trend, so if you’re like me, head over to C.R. because you should be able to find some affordable tops for $10-15 with an additional 10% off! When I sent to Sephora, I only purchased one item, but I also received another one with 100 Beauty Insider Points. I bought the Clarisonic Replacement Heads Twin- Pack. I picked Deep Pore Cleansing Brush for $40. Before this one, I had the Normal one, and that one was pretty soft. This one is a bit more rough and abrasive, but that is to be expected. Some people may be worried about if this is too rough to use daily, and for me, I find that using it once a night, is fine for my skin. 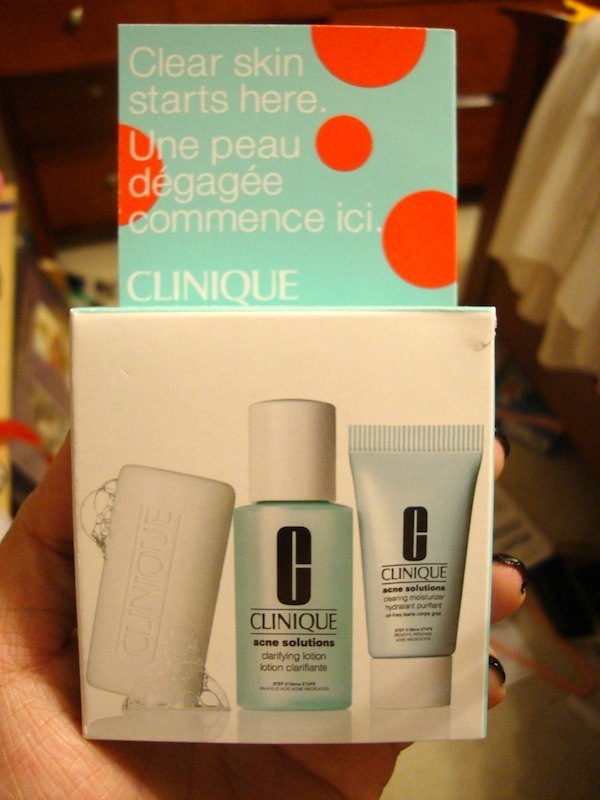 The item that I got with my points was a mini Clinique Acne Solutions set. This set included a cleansing bar for face and body, a clarifying lotion, and an oil free clearing moisturizer. I’ve been obsessed with knit sweaters lately. Like super obsessed. I also love the baggy slouchy look, but unfortunately it doesn’t always work out for me because I’m too broad. Despite that, when I went to Gilly Hicks (my future summer job :P) for their semi annual sale, I saw these cute, long knit sweaters. Unfortunately, they were more than I was willing to pay, but my cousin stopped by the next week and said that everything in the store was 25% off. The sweaters we wanted were originally $44.50, but my cousin said that she ended up paying around $20, which isn’t as bad (I’m not sure why they were $20; I’m aware that that is more than 25% off). Anyways, I love this sweater. I got a size small but I’m not sure if an x-small would have been better because it’s sorta long. It hits me at about mid thigh, but I’m only 4’11.75″. 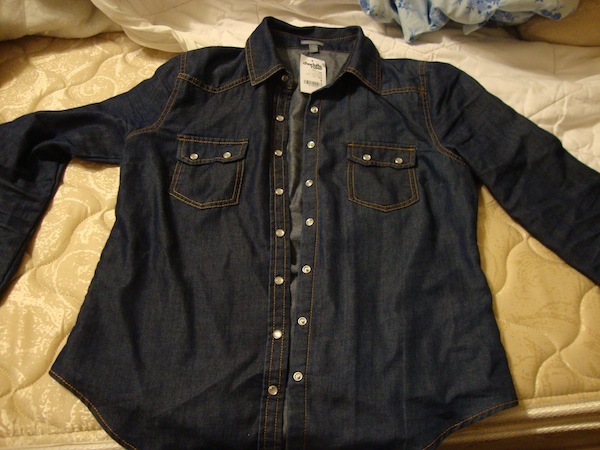 Lastly, I went to American Eagle where I think I made my favorite purchase! The only reason I walked in the store was because I still had a gift card from last Christmas and they were having a 50% off sale. I never really get anything there because I feel like the clothes aren’t worth the price, but, I always look at the sale section. I usually never see anything I’m crazy about, but this time was different. When I walked in, I immediately saw a really cute shirt. I looked at the price tag and saw that it was on sale. I was ecstatic because it was priced at $24.99 with an additional 50% off. Before I actually got in line, I wanted to double check the price, and unfortunately, the extra 50% didn’t apply to it. At first, I was bummed out and put the shirt back, but once my mom got to the store I showed it to her and she convinced me to try it on, saying that the price wasn’t too bad. After trying it on, I was sold. With the gift card, I only had to pay like $2 extra, so I was okay with that since I figured I most likely wouldn’t have used the gift card on anything else. So, if you’re still with me, I hope you enjoyed this post. Sorry it’s so wordy; when I type, I tend to write like a talk, so there’s a lot of extra fluff in there. Anyways, if you’ve made any purchases this year, feel free to let me know in the comments; I would love to hear about things you got!